UK Typhoons arrive in Qatar for joint exercise between Royal Air Force and Qatar Emiri Air Force. 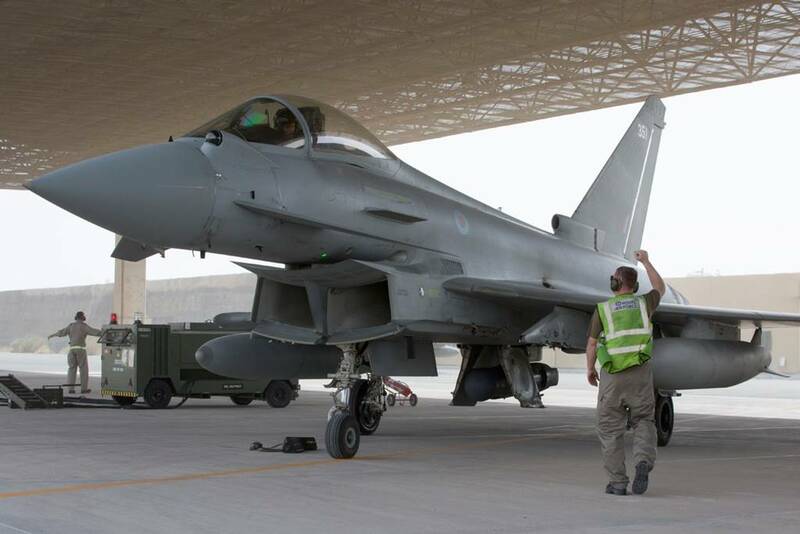 November 9, 2018 - UK Typhoons arrived in Qatar at Al Udeid airbase, ahead of the joint UK/Qatari exercise, EPIC SKIES II. 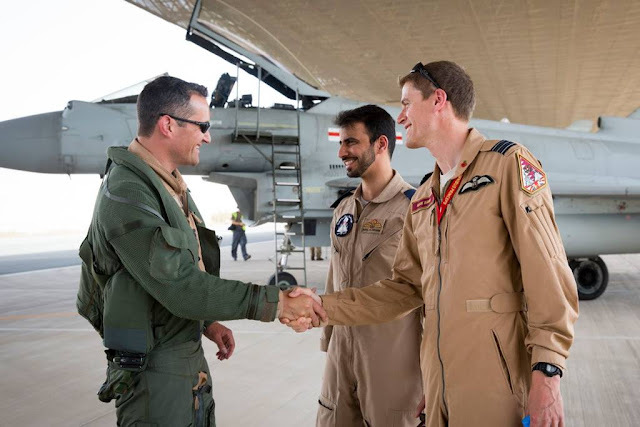 The jets were flown into Al Udeid from another exercise in the middle east, and landed in formation led by Wing Commander Jim Lee, Officer Commanding II(Army Cooperation) Squadron, who was greeted by Wing Commander Mark Baker, Officer Commanding 1 (F) Squadron, and the Exercise Commander from the QEAF, Lieutenant Colonel Faisal Al-Ghanim. 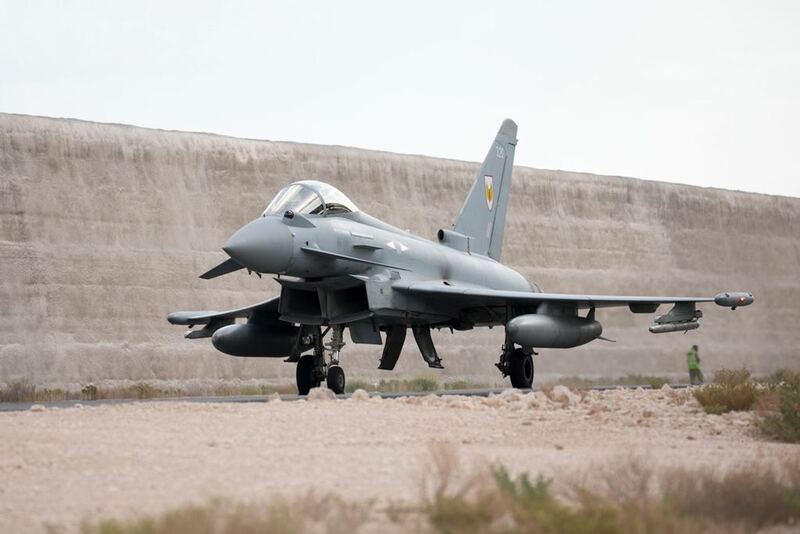 Further cementing the already strong military and political ties between UK and Qatar, on 24th July 2018, RAF’s Number 12 Squadron was re-established as a joint UK based Squadron, that will temporarily integrate, from 2019, Qatari personnel including groundcrew and pilots, and will be based initially at RAF Coningsby in Lincolnshire, and then Qatar. 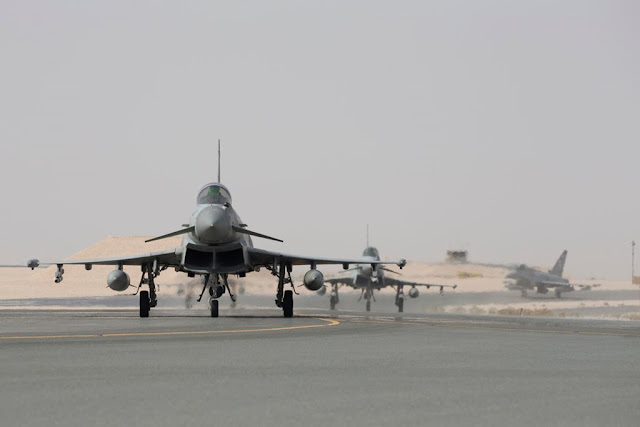 Following Qatar’s procurement of 24 Typhoon aircraft from the UK, the multi-billion pound deal means that Qatar and the UK will work together, closer than ever, to ensure the seamless transition from operating this world-beating aircraft together on a joint basis, to standing up purely Qatari operated squadrons once the aircraft are delivered. “It’s a tremendous honour to take part in this exercise, especially at a time when our two nations are becoming closer than ever. 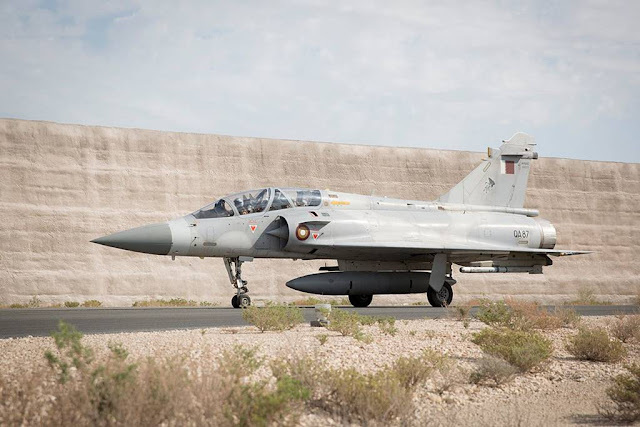 The Typhoon aircraft is a hugely capable platform that has served the UK well since its introduction; I’m sure it will continue to serve both the UK and Qatari militaries for years to come,” Wing Commander Mark Baker said.